Today is my birthday but...I'm the one giving out a gift. 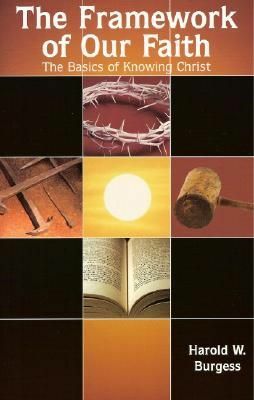 The gift is a book written by Harold Burgess and Dennis Kinlaw titled The Framework of Our Faith. You can see the book's contents by clicking the image link below. To enter to win the free book, all you have to do is point back to this website. There are at least three ways to do this: 1) If you are on Twitter, announce the giveaway with the hashtag #pisteuomen , 2) If you are on Facebook, mention this site in your status or in a note, or 3) If you have a website or blog, just do a quick post pointing to this site. At the end of the day, someone who did one of these three things will be chosen and the book will be delivered to them.